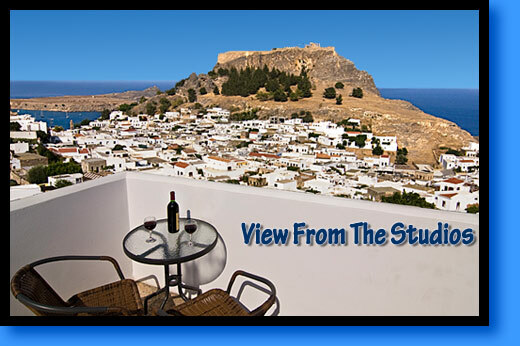 And to Lindos Panorama Studios. Lindos is a traditional village located on the island Rhodes, its one of the most ancient and prettiest villages in Greece, with white painted houses, narrow streets, where you can walk around without having your mind on traffic and cars. During the day you can walk down, and have a swim at one of the three beautiful sandy beaches. 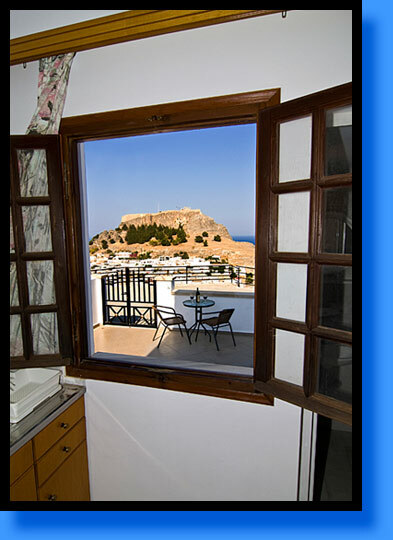 You can also have a donkey ride to the ancient Acropolis, in the village there are lots of souvenir shops for presents. At night you can wonder around and have a meal at one of the many restaurants, which offer very good quality food. after visit the cafes and bars to enjoy a coffee or a nice drink. If you still have any energy left you can go to the night clubs and dance until the morning. 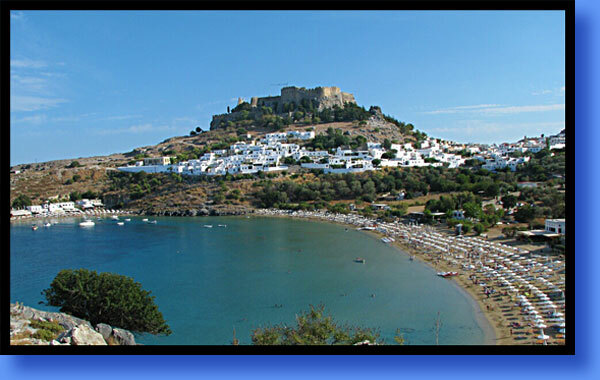 The main beach of Lindos is one of the most beautiful beaches on Rhodes. Its an organized beach with sun beds & umbrellas, water sports, pedal boats and more. There's also a lifeguard on guard everyday for your safety, of course you have fantastic views of Lindos while your swimming or sun bathing, as you can see in the photo.